Plot Synopsis: Matt Lee Whitlock (DENZEL WASHINGTON) is the police chief of a small Florida town, going through a divorce with his detective wife, Alex (EVA MENDES). He begins a passionate affair with Ann (SANAA LATHAN), only to find out that she’s stricken with terminal cancer. Matt steals a large sum of money confiscated from a drug bust in order to pay for Ann’s treatment — but when she apparently dies in a suspicious fire, the money disappears, and all the clues point to Matt as the culprit. Now he must outrun those responsible as well as Detective Diaz who is heading the investigation. 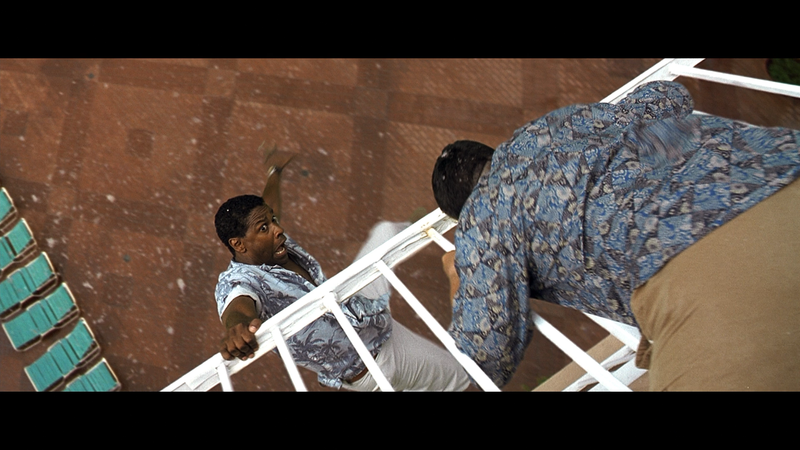 Quick Hit Review: Out of Time is not exactly top shelf Denzel Washington and a film where he cashed in nicely following his Academy Award win for Best Actor in Training Day. But even if the plot is on the farfetched side with some manufactured tension, Washington’s Whitlock frantically removing his name from phone records is especially ridiculous, but even so, can’t help not to be entertained, not only for Washington who does at least give it a good go but with a respectable supporting cast that includes Eva Mendes (re-united with her Training Day co-star), Sanaa Lathan in one of her early big roles (a year later she would star in AVP: Alien vs. Predator) and Dean Cain going from his squeaky-clean Superman role to playing an utter sleaze-bag. Directed by Carl Franklin, who previously worked with Denzel Washington in Devil in a Blue Dress, also helmed another adequate thriller, High Crimes starring Ashley Judd and Jim Caviezel. 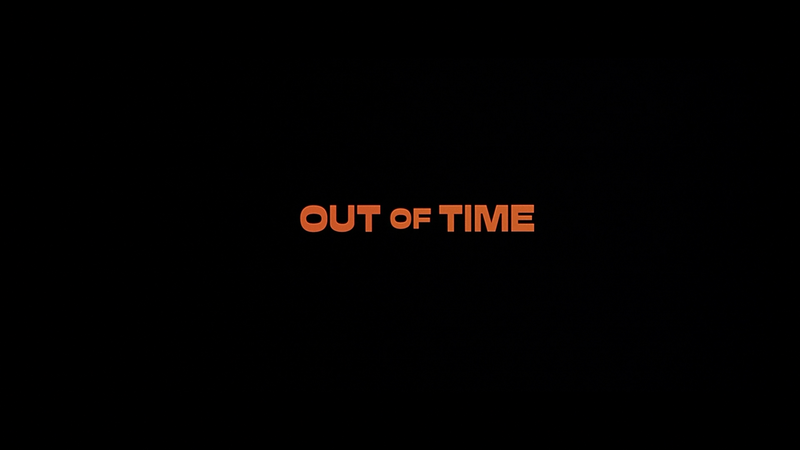 Out of Time is kind of similar in that it’s nothing overly memorable, but heavily relies on a charismatic cast to give audiences an entertaining enough time-waster. This release comes with a matted slip cover. All of the features from the MGM Special Edition DVD have been ported over. There’s a fair quantity of features, but quality is limited with an Audio Commentary by Director Carl Franklin; Out of Time Crime Scene (12:18) behind-the-scenes promotional featurette; an Outtake (0:34); a Photo Gallery (2:41), Screen Tests for Sanaa Lathan and Dean Cain; and Character Profiles for the main cast which contain short cast/crew interviews on each. There’s also a Theatrical Trailer (2:09) available. As with many of the other MVD Marquee Collection releases, it’s doubtful this underwent some new transfer and is likely what was provided to them by MGM. Even so, the picture quality is decent enough with rather good colors, bringing to life the south Florida landscape, including the glistening sweat off of some of the characters faces. There were no apparent or noticeable instances of artifacts or aliasing, though detail wasn’t always sharp. The disc comes with a routine DTS-HD Master Audio 5.1 that provide good dialogue levels via the center speaker and some okay depth for the various action scenes. The front and rear speakers are relegated for some of the ambient noises or Graeme Revell’s score. 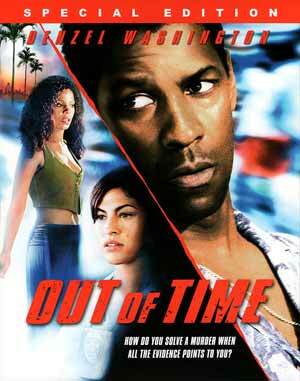 Overall, Out of Time is a serviceable suspense-thriller mainly for the charisma of its cast, primarily Denzel Washington and to some extent, Eva Mendes, as well as John Billingsley in the comedy relief role. The Blu-ray release from MVD has fine video/audio transfers and so-so bonus material.